In response, Council is conducting a series of consultation workshops. The advantage of traditionally set bluestone pitchers is that they can settle, move and any problems are localised and can be easily repaired. Concrete repairs are not cheap. Properly set bluestone pitchers on a permeable base allows storm water to filter away. Drainage becomes a huge issue with impermeable concrete contributing to increased run-off, ponding and flooding. 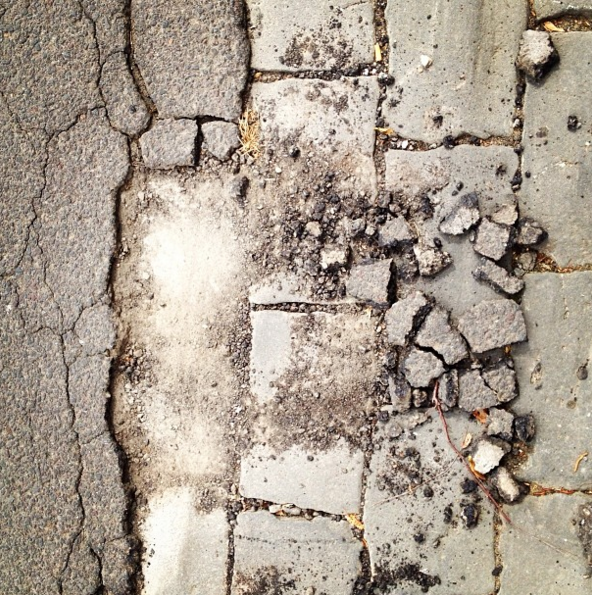 Whilst traditional bluestone laneway surfaces in heritage overlay areas will be retained, a proper survey looking at the potential significance of all laneways is needed before any other laneways are condemned to disappear under concrete. We have written to the City urging them to review the decision by urgently undertaking a proper assessment of the significance of all its unprotected laneways and provide heritage overlays to significant laneways before enacting any work entertained in replacement policy.